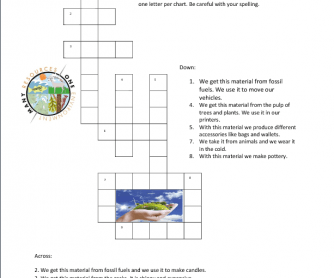 This is a crossword puzzle about natural resources and materials obtained from Earth. 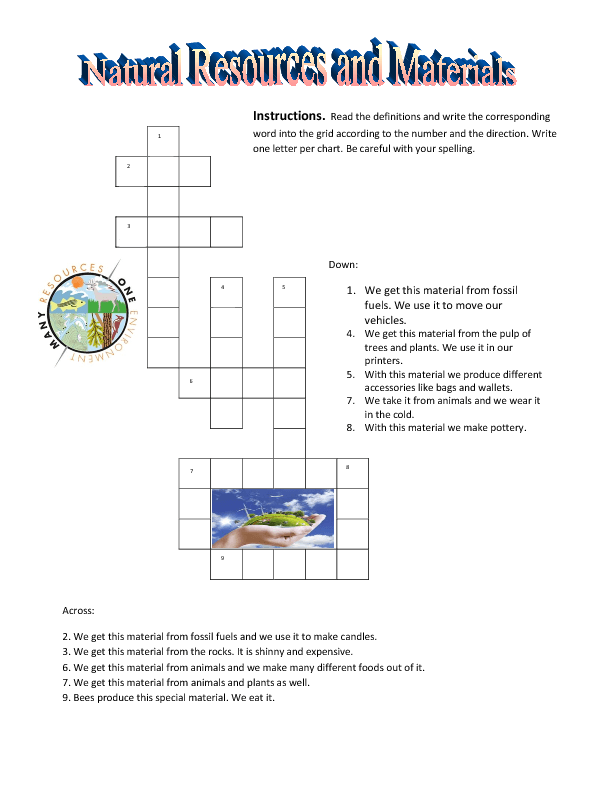 In this crossword students read the definitions established for the purpose and figure out the material that fits better for the description. Once they know the word, students write it on the grid; one letter per chart. The intention is to help students think about the possible materials people can obtain from different resources, reinforce vocabulary and try a little critical thinking.